A castaway who recently made the news for apparently surviving at least 13 months adrift at sea seems to be suffering from post-traumatic stress syndrome, according to doctors. 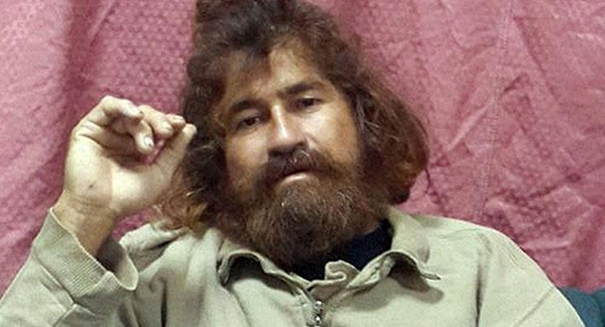 The man, Jose Salvador Alvarenga, endured horrific conditions as his boat stayed adrift at sea for more than a year. Despite the setbacks that he is facing, doctors say that his overall health has been improving. Aside from post-traumatic stress, Alvarenga has been treated for dehydration and pain in his back and legs. According to The Telegraph, Alvarenga had his first contact with humans when he came ashore on a tiny and remote Pacific island. The first people he met were coconut farmers Amy Libokmeto and Russell Laikedrik. Despite the fact that Alvarenga was wielding a knife and shouting, the two farmers quickly determined that based on his appearance and seemingly poor health, it was likely that he had fallen off a boat and washed ashore. They took him back to their home and cooked him three pancakes, then ultimately took him to the mainland in a boat for medical assistance. As he began to recover, it became apparent that he was likely suffering mentally from the ordeal. The Telegraph reports that at first, he seemed to be in good spirits and reasonable health. However, he appeared “sullen and uncomfortable” at a subsequent media appearance. Additionally, his changed mental state was noticed by Franklyn House, a retired doctor from the U.S. based in the Marshall Islands. Dr. House quickly saw a change in the castaway’s demeanor in just a matter of days. The doctor notes that Alvaregna went from being engaged with the doctors and other staff on Monday to being withdrawn by Thursday. House noted that Alvarenga’s change in mental health is consistent with post-traumatic stress syndrome.